Faculty associations at two Ontario colleges are expressing concerns that their colleges operate men-only campuses in Saudi Arabia. By law, all campuses in Saudi Arabia are segregated by gender. "This doesn't reflect the values of our school, and it doesn't reflect the values of our country," said Niagara College's faculty union vice president Ravi Ramkissoonsingh. While he didn't have exact figures, Ramkissoonsingh did say that "so far, it's nowhere near that." "One of the reasons why we see these colleges enter into these deals is due to the financial pressures," said Ramkissoonsingh. "From our view, that doesn't absolve them. It's still a choice to enter into this deal with Saudi. Regardless, it's still an ethical decision they've made." Niagara College says its overall offerings in Saudi Arabia should be taken into account, and not viewed separately. Sean Kennedy, Niagara College's vice president, International, issued a statement saying the college has several overseas initiatives and is in the Middle Eastern country as part of program by Saudi Arabia that provides education to both men and women. The program is called Colleges of Excellence and includes colleges from other countries such as the U.K. Australia and the United States. "In our case, the campus that most closely aligned with our area of specialization was a campus in Taif where education is provided to males," said Kennedy in his statement. He notes that the college provides separate English training to women in the community. He also notes that the college has had an 8-year partnership with the King Faisal Specialist Hospital and Research Centre in Riyadh and Jeddah where it has taught its office administration program to 120 female and 40 male students. 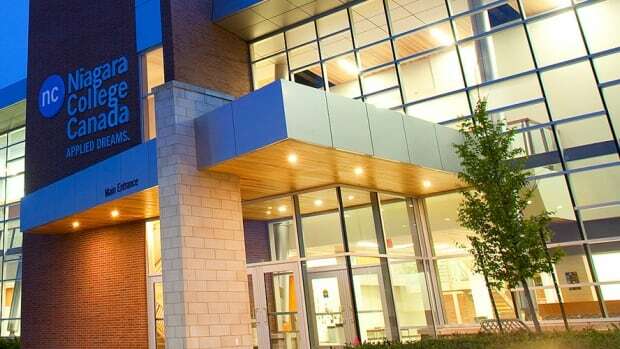 The campus currently has 850 students and actual revenues have fallen short of original projections, with the school losing "close to $1 million" operating Jazan, a representative from the faculty's union told CBC News in December. The union representing academic staff at Algonquin has urged the school to cut ties with the Saudi Arabia campus following the country's Jan. 2 execution of 47 prisoners convicted on terrorism charges. Warren "Smokey" Thomas, president of the Ontario Public Service Employees Union (OPSEU), also issued statements Thursday regarding the two Saudi campuses. He said he reached out to Kathleen Wynne about Algonquin 10 months ago expressing by letter his disdain for the Saudi campuses. "The mass execution itself cries out for an unequivocal response," he said in the release. "At least one man was executed for peacefully protesting Saudi Arabia's contempt for basic human rights. The people of Ontario will not tolerate their provincial government's doing business with a notorious violator of human rights." Algonquin spokesman Scott Anderson said the school made an unsuccessful bid to open a female campus, but they "still have hopes that we will be able to do that in the future." Thomas added that he'd be writing to Colleges and Universities Minister Reza Moridi Thursday. And unlike his letter to Wynne, "this time I want some answers," he wrote. "Why are the Ontario Liberals doing business with Saudi Arabia? Why are they allowing Ontario community colleges to exclude women? When will they close these campuses and bring Ontario tax dollars and Ontario faculty back to Ontario?" Moridi told the Canadian Press he's proud Ontario colleges are expanding their programming around the world, but his statement didn't mention that women are excluded from the courses Ontario colleges offer in Saudi Arabia.